Labels: **Company magazine photo taken by my camera but all rights and ownership are reserved with them. 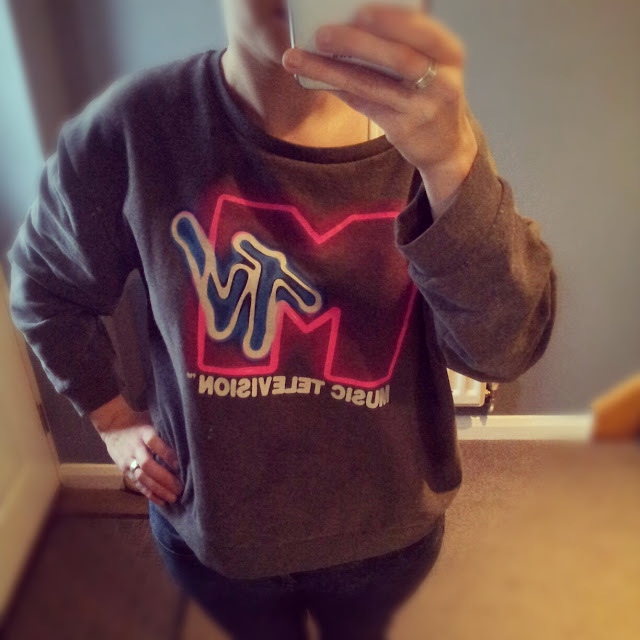 Another little post to show one of the gorgeous bargains got in the River Island sale; this fabulous oversized MTV jumper which was reduced from £30 to £15!! What a steal! I love how cosy, warm and comfortable it is but above all LOVE how retro it looks. Because it is oversized it looks great slung on over stonewashed skinny jeans with a pair of converse. A funky, casual, throw back look. I loved it even more when earlier today I was browsing through Company magazine and found a model wearing it in one of their style sections. What do you think of this bargain buy? 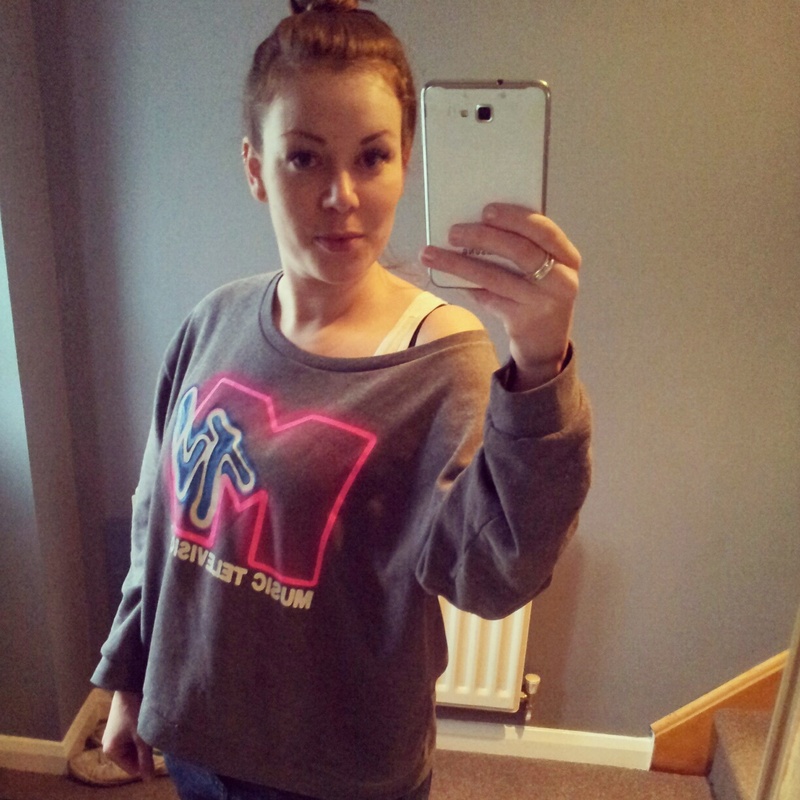 Have you got any favourite sale buys or favourite sweatshirts that you love to dress up or chill out in? 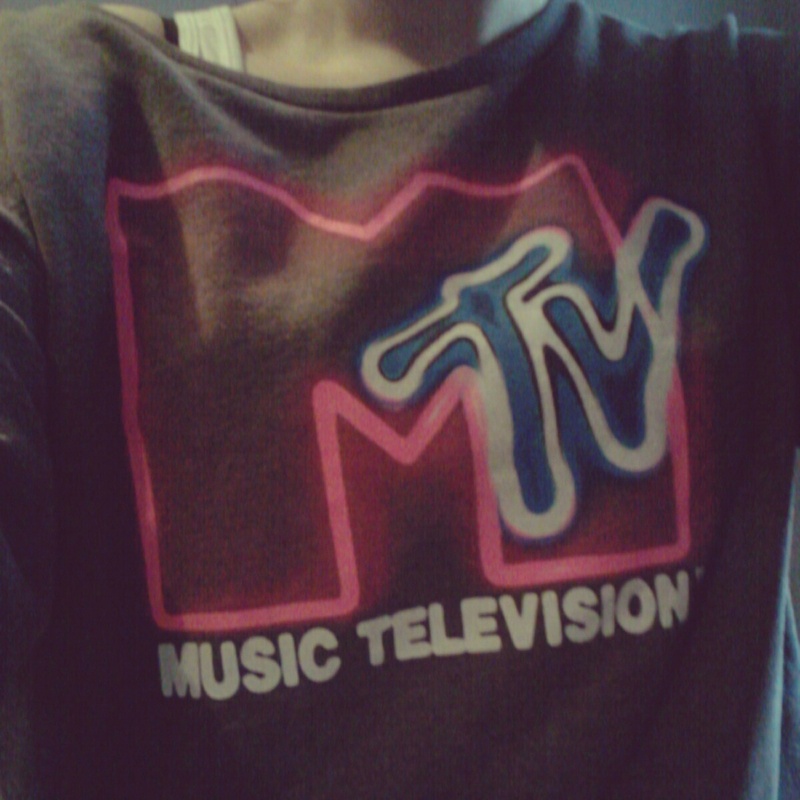 FUNKY: I just LOVE my retro MTV bargain sweatshirt. 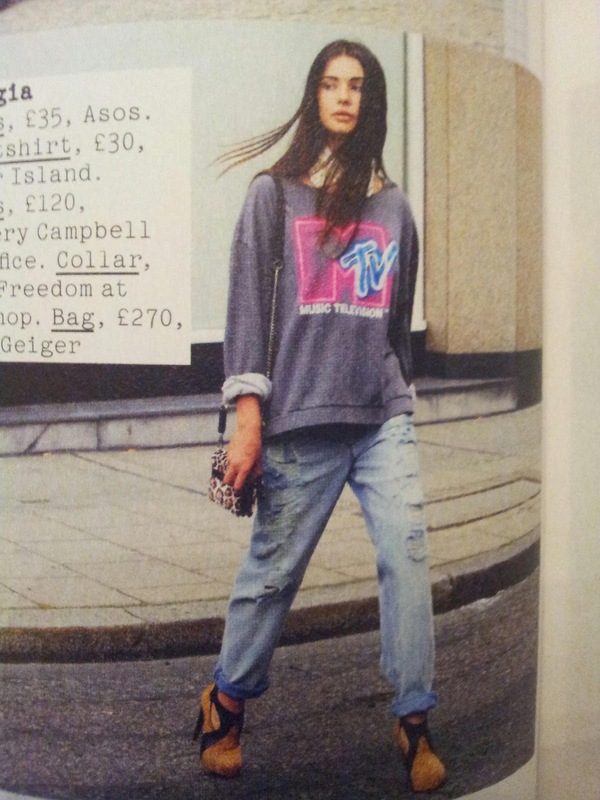 STYLE STEAL: The model in Company magazine. 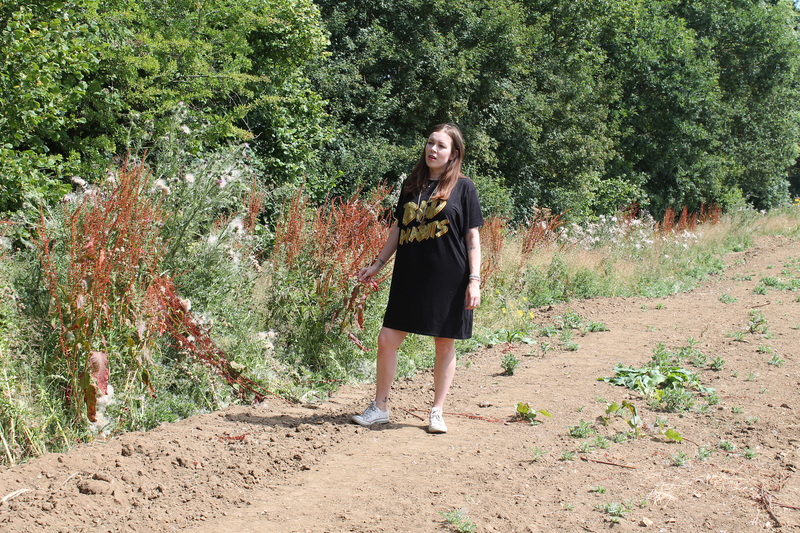 RIVER ISLAND: £30 reduced to £15.